The chipmunks Chip and Dale wake up one winter morning inside the wood stove they have made their home. 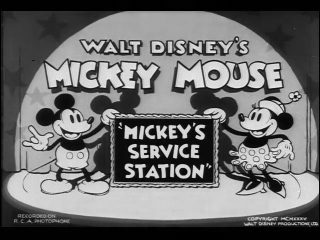 The stove is located in Mickey Mouse’s hunting shack (called “Mickey’s Hydout”) which appears to have been unoccupied for a while. Soon, Mickey and Pluto arrive for the hunting season. Pluto soon discovers that the stove is occupied by the chipmunks and helps Mickey build a fire to smoke them out. Chip and Dale realize what is happening and blow out Mickey’s matches and roll of newspaper before they can catch the wood on fire. Finally, Mickey is about to use a can of kerosene which the chipmunks can’t blow out. From a hiding place underneath the stove, the chipmunks burn a hole in Mickey’s boot with a match. Mickey assumes that Pluto is to blame and scolds him. Mickey remains unaware of the chipmunks throughout the film. After Mickey leaves to get more wood, Pluto chases Chip and Dale across the room. They lead Pluto across a table and mantle above the fireplace. Pluto accidentally gets his nose stuck in the muzzle of Mickey’s rifle, which is hanging over the fireplace. As Pluto tries to pull is nose free, he realizes that one of the hooks on which the rifle is mounted is directly in front of the trigger; the more Pluto pulls, the more he will cause the gun to go off in his face. Gradually, the table which Pluto is standing on with his hind paws starts to slide back. Pluto falls and makes the rifle fire, but the rifle’s delay is just long enough that Pluto narrowly avoids the bullet. Pluto lands on the floor where the rifle hits him on the head momentarily knocking him unconscious. From the table above, Chip and Dale pour ketchup over the dog to make it look as if he is seriously wounded. Suddenly, Mickey returns having heard the gunshot, and when he sees Pluto, he thinks he is dead. Pluto comes to and first starts to comfort Mickey. But when he sees the ketchup, he starts to panic. Mickey hurriedly carries him off to find help. Thus, Chip and Dale regain working ownership over the property. This transfer of ownership is the reference of the film’s title “squatter’s rights” which is a form of adverse possession.